Hummus and I go way back. During my college years in San Francisco, my husband and I lived on bagel and hummus sandwiches. It was vegetarian, it was filling and it was cheap. It was the broke-college-student-Californian version of ramen noodles. After that, I couldn’t eat hummus for years. Especially because the cheap hummus we bought was akin to eating spackling paste…I did say it was filling (horribly bad pun intended). But years have gone by, I’ve birthed a human, landed back in the Midwest, and I can once again eat hummus. Time heals all wounds. 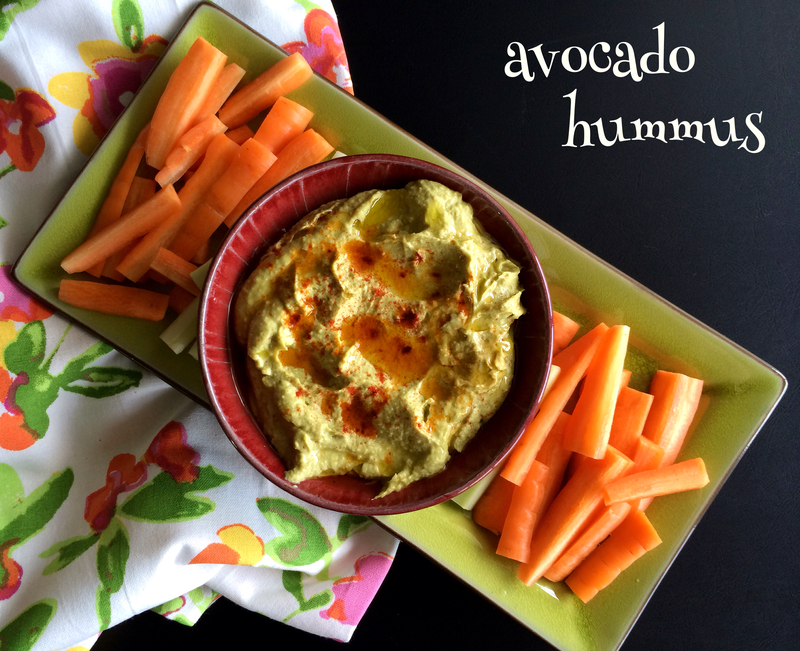 Hummus tends to be the go-to party dip and I’ve found the best hummus is either at a Mediterranean restaurant or homemade. So skip the store-bought paste and make your own! 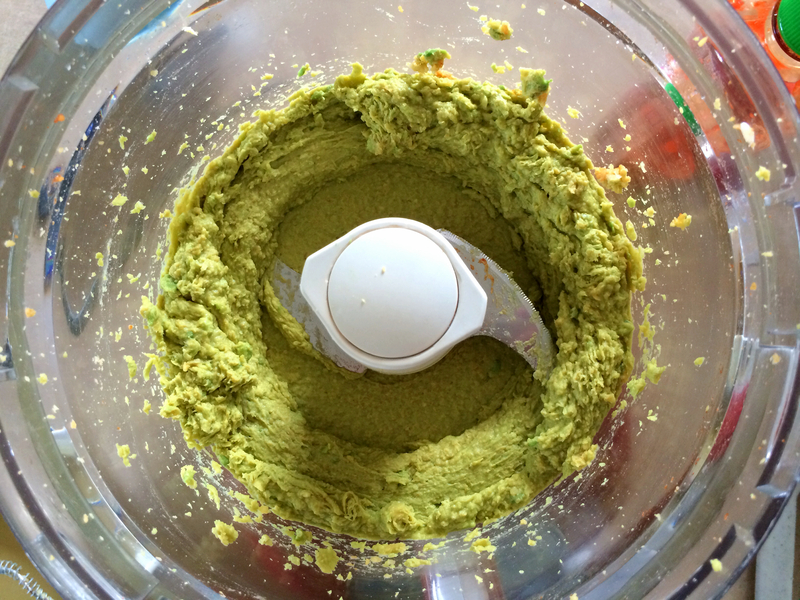 The key to making a very creamy and smooth hummus is to use enough liquid/oil and to process the chickpeas before adding the liquids, which are added in a steady stream while the machine is running. I spice up the traditional hummus by adding smoked paprika and sriracha. For a veggie vitamin boost, and to add extra creaminess, I add one chopped avocado and include lime juice along with the usual lemon juice. The texture is spot on and the flavor is smoky and nutty with a citrusy zip! You can serve this with just about anything: veggies, tortilla chips, pita chips, or use it as a spread on sandwiches…or even bagels. In a small bow or measuring cup, combine lemon juice, lime juice and water. In a different bowl, whisk together tahini and olive oil. 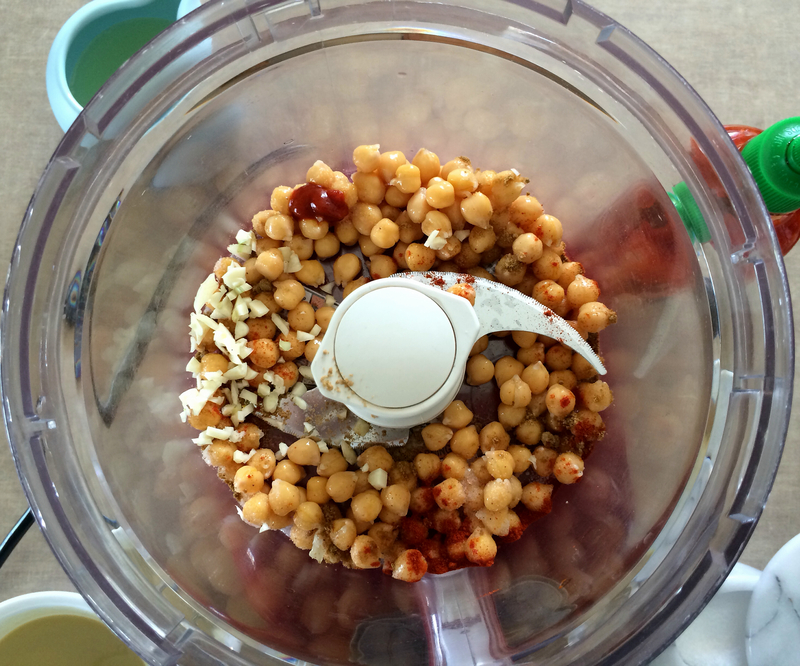 In the bowl of a food processor, add chickpeas, garlic, salt, cumin, paprika, and sriracha and process until chickpeas are almost completely ground (should resemble course sand). 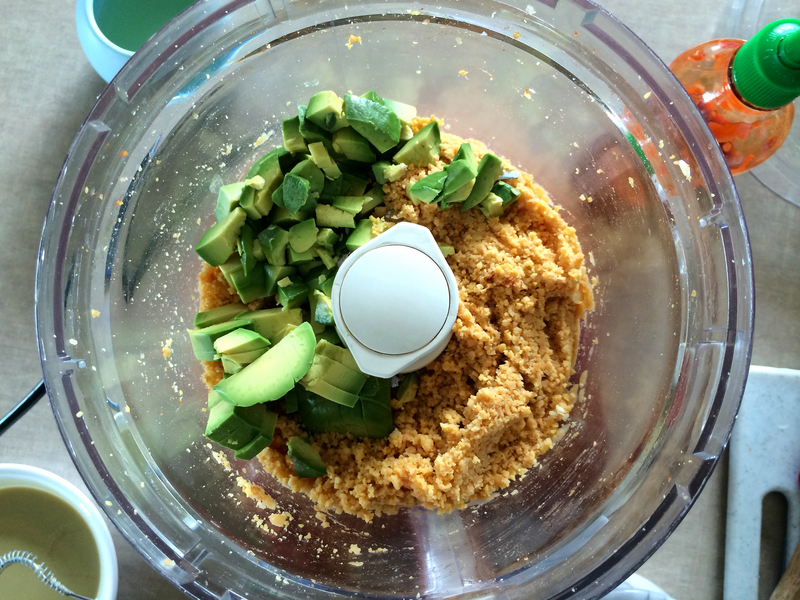 Add avocado and process until well combined. Scrape down sides of bowl. With processor running, add citrus mixture through the feed tube then scrape down bowl again. 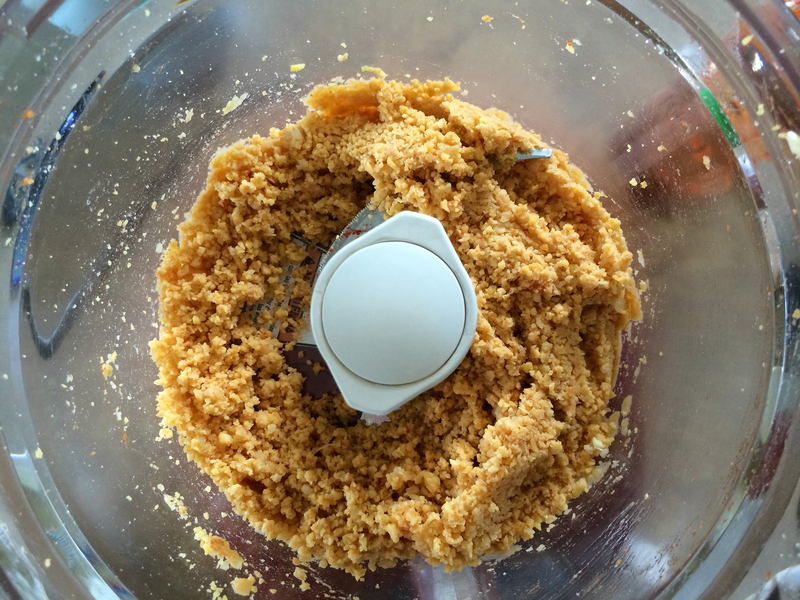 With the processor running, add tahini mixture through the feed tube and process until hummus is smooth, scraping down bowl as needed. Taste and adjust salt and seasoning. 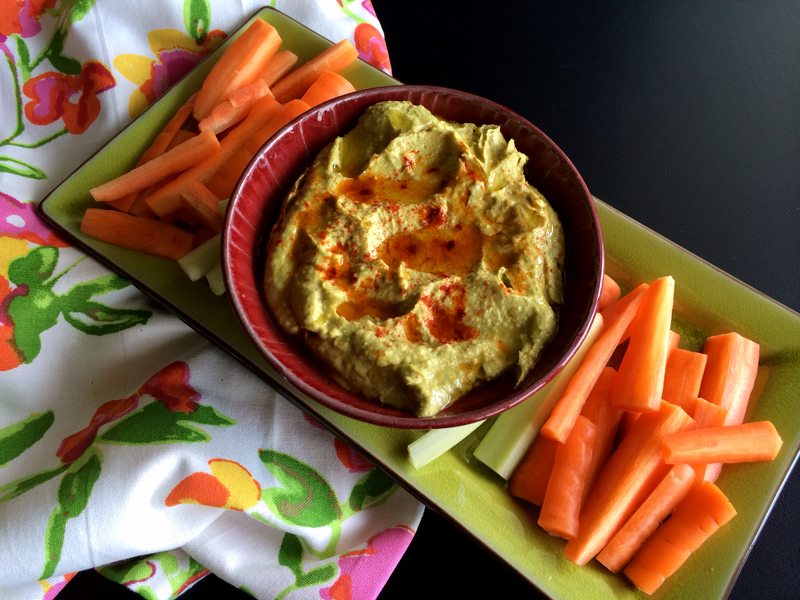 Transfer hummus to a serving bowl; drizzle with olive and sprinkle with a few dashes of smoked paprika. 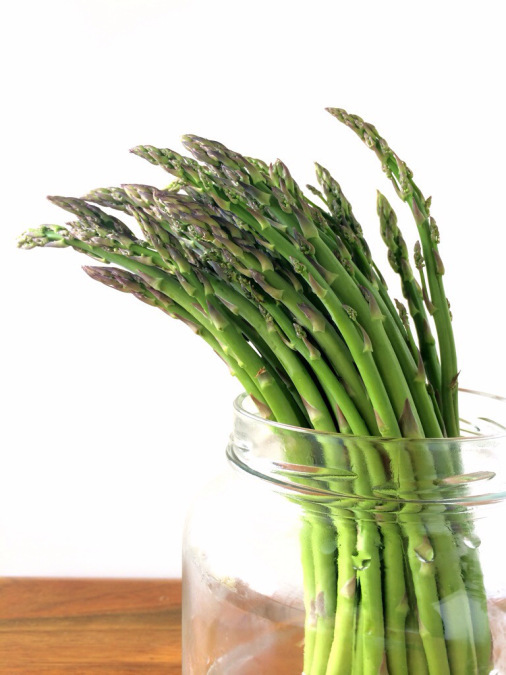 Serve with veggies or chips. Enjoy! Wonderful, I’m so glad you liked it!! I just discovered the hummus and bagel sandwich! I can relate. It is a cheap masterpiece! I recently started making my own hummus and would love to start experimenting with other flavors. 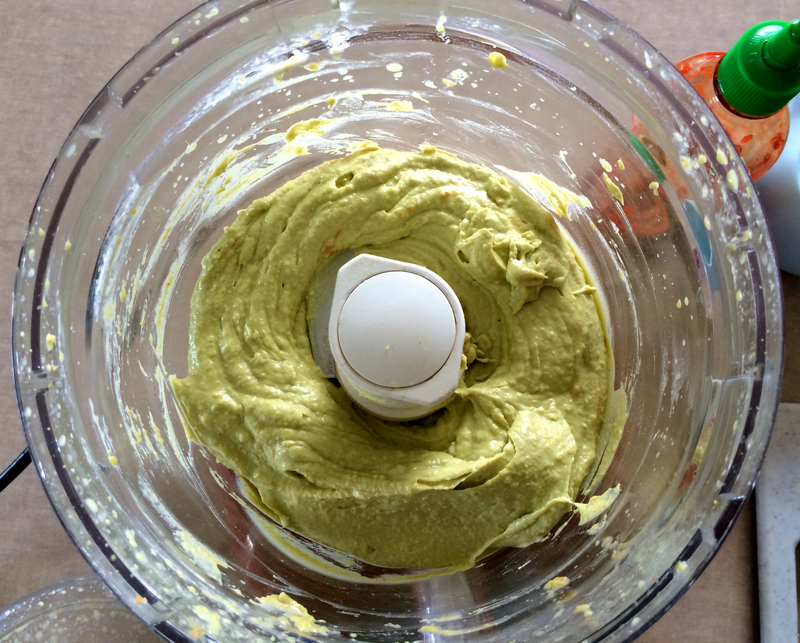 I also love avocado…so why not put them together? Thanks for sharing!